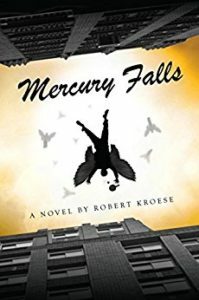 In Mercury Falls , author Robert Kroese brings us to a point where the Apocalypse seems to be upon us. The story is told through reporter Christine Temtri’s eyes as she seems to have the niche at her paper to report on doomsday. Vowing to never again report of such events, she is again drawn into what seems, at first, to be just another end-of-days story. This novel has her teaming up with some unlikely angels who seem either hell-bent on ushering in the Apocalypse or as in the case of Mercury, Meh! Needless to say, but Miss Temtri does not want her world to end. This was an unusual book to read. It has enough theological “truths” intertwined with lots of made up stuff to be humorous. There are sequels and I’ll read the next one. This article was published on Aug 21, 2018 . It is tagged Mercury Falls, Robert Kroese. You can follow any responses to this article through the comment RSS feed.